everyday vita: peanut butter jelly time! peanutbutterjellypeanutbutterjellypeanutbutterjellywithabaseballbat. (click here if you’re confused). 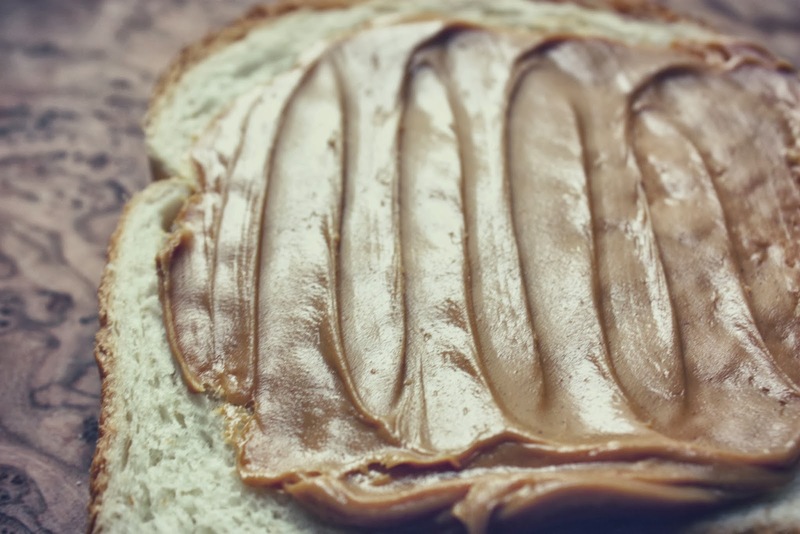 If you’ve been wondering why Cannella Vita is almost completely devoid of peanut butter recipes (but wayyyy overloaded with Nutella ones…) — it’s because peanut butter’s not really my thing. Nevertheless, I absolutely love spreading it. 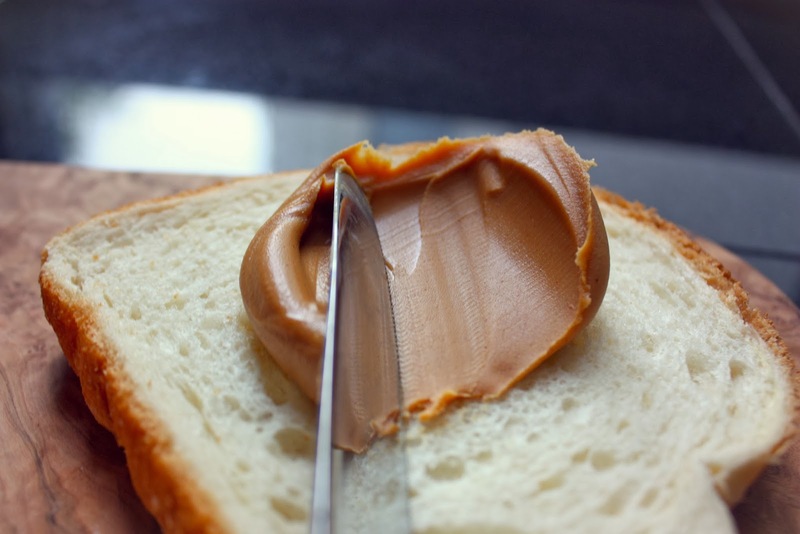 I love making a smooth little squiggle in the peanut butter (am I the only one who does this?). There’s something seriously therapeutic about spreading things on Wonder bread. PB&Js are as classic as you get. They’re absolutely perfect just the way they are and that’s why they’ve basically been around since Columbus discovered America (that’s not actually true, I have my first AP U.S. history test tomorrow and PB&J has been around for ages – so that’s where my mind is at the moment). Also, I had to throw in a few fluffernutters, because they’re my dad’s favorite. And fluffernutter is fun to say. And I wanted an excuse to buy marshmallow fluff. So obviously those were necessary. 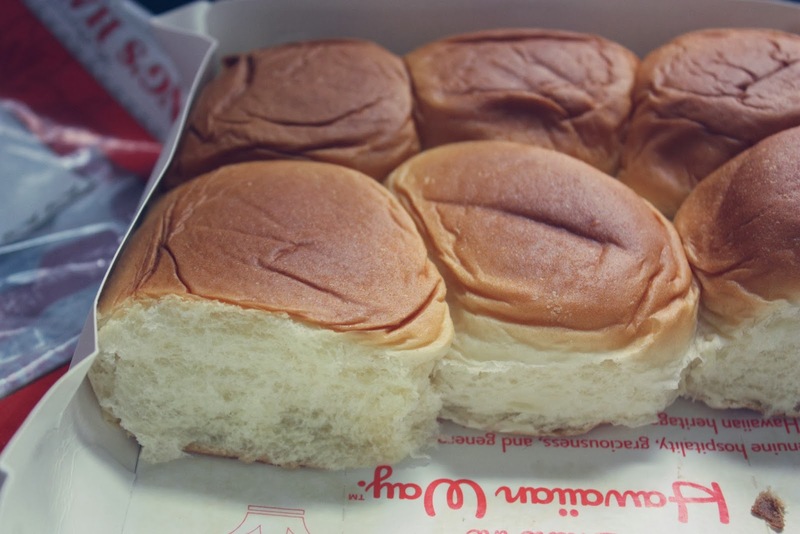 Lastly, the Hawaiian girl in me just had to make some of these on Hawaiian Sweet Rolls. Because that’s how I roll (haha). Tomorrow I’m going all the way up to Pennsylvania with the soccer team, so I packed a few of these up with some chocolate chip Chewy bars for the long bus ride. How do you like your PB&J? Ohhh honey oat sounds wonderful! You don't have Hawaiian rolls in your area? They have them at most supermarkets in my area. No, they don't sell Hawaiian rolls here in Canada (or at least where I live). I first tried them a year ago in Florida and I wanted to bring a suitcase full!! I like mine classic style! Can't go wrong with classic! Cool! It was absolutely beautiful there — we went though all of this farmland getting to the soccer field and it was gorgeous in all of the crisp fall colors! Not much for fluffernutters, (even thought it's WAY fun to say! ), but the PB&N sounds like just the kind of thing I could get into! Will definitely be trying that one really soon! Let's totally put PB&Ns on the map 🙂 Let me know what you think of it! Sounds interesting — I will check it out! That was genius using King's Hawaiian Swet Rolls. I never would have thought of using them for my PB&J's. Also, last night I went out and bought all the ingredients for your Aunt Anne's pretzels and an really looking forward to making them tonight. 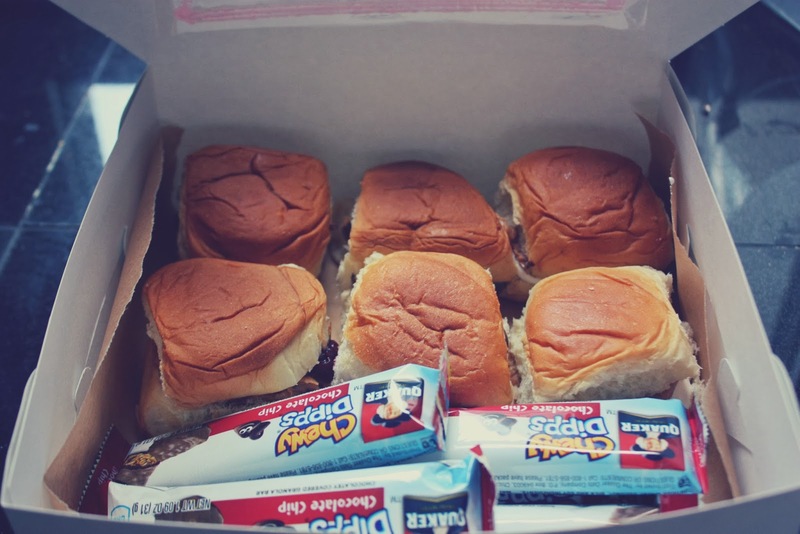 Those Hawaiian rolls are the best for PB&J! Maybe it's because I'm English, but the concept of peanut butter and jam (jelly is something quite different here!) is bizarre and a wee bit gross to me. Peanut butter and NUTELLA, however, I am 100% behind. Having some serious cravings right now! No I totally get it — the combination of anything fruity and peanut butter is a little bit strange the more I think about it — but chocolate and peanut butter is never a bad idea. Also, Nutella is never a bad idea. ya know how i roll? white bread with no crust, slathered with fluffernutter and nutella, with thin slices of strawberry. Oh yum! That does sound REAL GOOD! 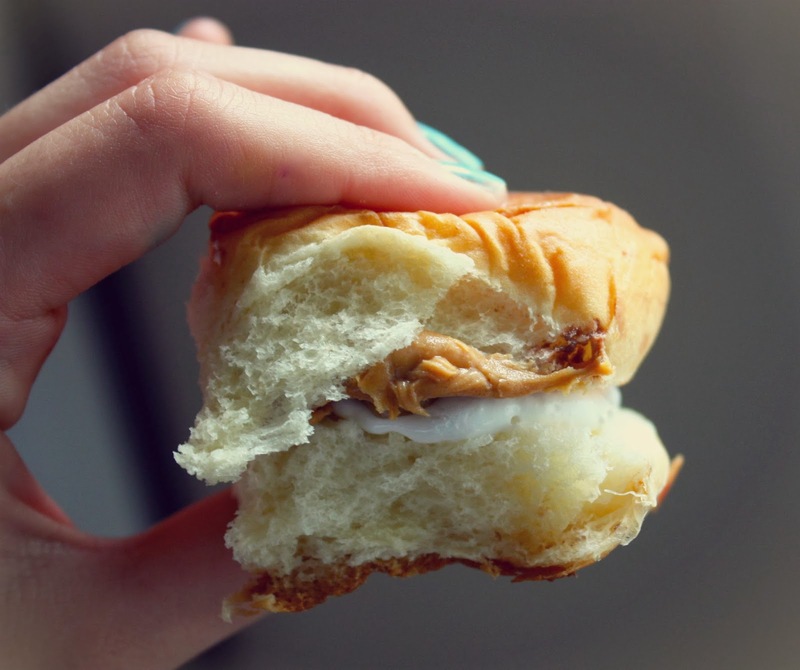 Since I don't like peanut butter I like the idea of Nutella and marshmallow fluff.